Did You Win a FALLEN DVD & Book Bundle? 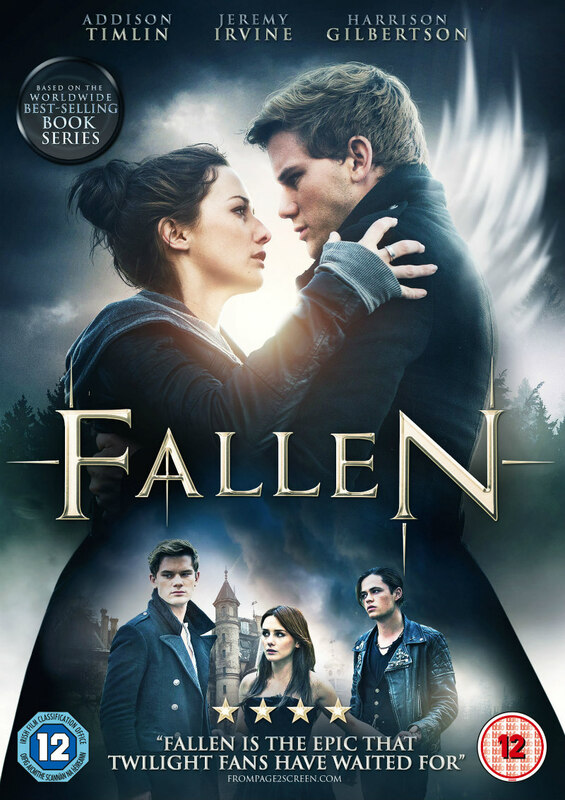 Romantic fantasy Fallen comes to UK DVD May 1st and we've got a bundle including the movie on DVD,a copy of the book and four more movies to give away. The bundle on offer includes Fallen on DVD, a copy of Fallen the novel by international bestselling author Lauren Kate, and four more DVDs - Sing Street, LOL, Nerve and Get a Job! Based on the worldwide best-selling book series, romantic adventure FALLEN is coming to EST on April 24th before arriving on DVD and VOD platforms from May 1st courtesy of Lionsgate Home Entertainment. When Luce (Addison Timlin; That Awkward Moment, TV’s Californication) is sent to Sword & Cross reform school, accused of a crime she didn’t commit, she finds herself torn between two students: dangerous Cameron (Harrison Gilbertson; Need For Speed, Haunt) and mysterious Daniel (Jeremy Irvine; War Horse, Great Expectations). Tormented by strange visions, Luce begins to unravel the secrets of her past and finds she must choose where her feelings lie, pitting Heaven against Hell in an epic battle over true love. Lauren Kate’s ‘Fallen’ series has repeatedly topped the New York Times Bestseller list since the first book was released in 2009 and has been published in more than 30 countries around the globe. The product of a truly global success story, FALLEN is the film the series’ legion of fans have been waiting for. Also starring Joely Richardson (TV’s Emerald City, Vampire Academy), FALLEN is a love letter to those fans and a love story for the ages.